For those who value our native breeds of dog, the registration lists at the Kennel Club provide a scary scenario, with Crufts Dog Show already offering some disturbing projections. The 'Discover Dogs' section of Crufts mainly demonstrates breeds from abroad and the Kennel Club, unlike countries such as Japan and Denmark, has no in-house committee solely to promote and conserve our native breeds of dog. 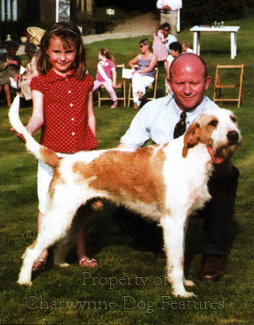 In times when we are importing all-rounder gundogs from Europe, tailless sheepdogs from Poland, huge herd protectors from Eastern Europe and cow-dogs from Norway, we have lost old English breeds like the English Water Spaniel, Red Decoy Dog, English White Terrier, Smithfield Sheepdog and Old English Working Terrier - and failed to recognize long-established local types. O ld Welsh breeds like the Welsh Hillman, Old Welsh Grey and the Welsh Black and Tan Sheepdog have long gone. I saw the last Llewellin Setters at Christopher Sorenson's kennel in the late 1980s. We lose our own water dog and then import those of Portugal, Italy and Spain. We neglect to preserve our own decoy dogs and then seem astounded to find them in former colonies, as the Nova Scotia Duck Tolling Retriever illustrates. Our admirable drovers' dog, the Bobtail, is now best known from the television advertisement for paint. Does an island race have to look overseas before it can be satisfied? Although, 'favouring the foreign' affects many countries of the world, with the temporary craze for certain breeds usually leading to a noticeable decline in their quality - as the French Bulldog illustrates in Britain today.. I welcome breeds from abroad and have written in praise of them many times. I am however strongly against the importation of extreme forms of the dog, the excessive favouritism shown to really rather ordinary breeds from overseas and the neglect of our native breeds that this leads to. When a purebred dog of a breed new to this country is imported it contributes nothing to the genetic diversity in our dogs. 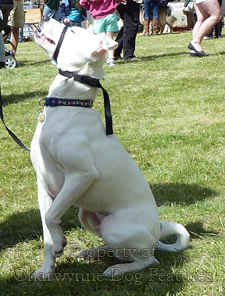 In all breeds of purebred dogs registered with the Kennel Club the gene pool is closed. This is despite the benefits obtained in the Deerho und from an outcross to the Greyhound, in the Field Spaniel through an outcross to the English Springer, an outcross in miniature Bull Terriers to the bigger variety and in the Bernese Mountain dog from Newfoundland blood. A small gene pool in the hands of unskilled breeders is a recipe for disaster. Native breeds, ancient ones especially, need new blood, they have to be revitalised. Pure-breeding defies nature and does nothing to promote health - or even true type. 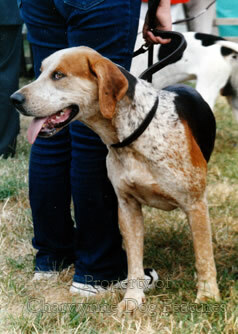 Expert French hound breeders have long recognised this, hence their development of Anglo-Francais, Beagle-Harrier and Gaston-Saintongeois blends. 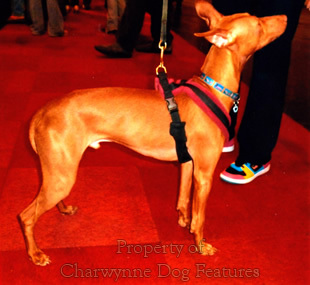 Of course, sporting habits or styles affect types or breeds of dog, as does legislation. Bird-dogs in Britain now are more likely to be all-rounders than our setters or our Pointer. Minor spaniel breeds struggle as the registration figures for the Field, Clumber and Sussex Spaniel reveal, although the Working Clumber is a worthy concept, gaining ground. Hound breeds can lose their role; with no wolves in Ireland - how do you employ the Irish Wolfhound? The Otterhound departs for the show ring and the Minkhound struggles for identity. Our Harrier, once recognised by the KC, thrives in the West Country mainly. The Staghound thrives there too but lacks a distinct form, resembling a strong Foxhound to many. The Trailhound, similarly, only prospers in one area, but its blood is of great value to some less-virile more closely-bred breeds. As the employment of earth-dogs declines, some terrier breeds, even the Fox Terrier, are at risk, with only the Westie in Scotland truly thriving. In time, just as the cart-dog or trekhond types disappeared, the drovers' dogs too will go, with our Smithfield Sheepdog an early victim and our Old English Sheepdog losing ground to Bouviers, for example. 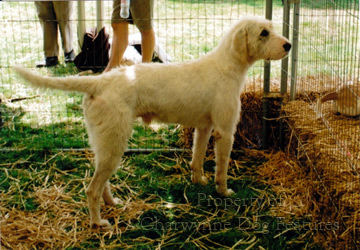 The French have lost more pastoral breeds perhaps and certainly more hound breeds, although their blood survives in many contemporary breeds there. Legislation has led to the demise of a use for our Deerhound, as well as the coursing breeds in mainland Europe, like the Levrier and the Windspiel, in France and Germany respectively. 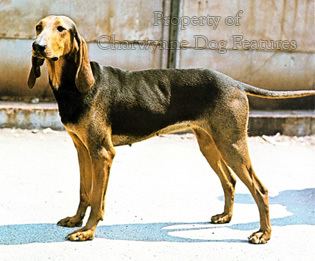 The native scenthound breeds of Germany, the Sauerlander and the Steinbrack, have been replaced by show ring favourites from abroad. It's not just a British problem! As the Basset Hound here becomes a caricature of itself, it is understandable for the French Petit Griffon Vendeens and the Brittany Hound to be preferred, although the English or Hunting Basset is being ignored in the show ring. I would like to see the Welsh Foxhound compared to the Grand Griffon Vendeen before the latter become show ring favourites. There is a worry too about new breeds from abroad with a small genetic base; they can be full of 'genetic junk' and unhealthy dogs can so easily be produced from such stock. This brings good trade to the veterinary profession, but heartbreak for owners and distress to the afflicted dogs. In a free society, people should be able of course to import whichever breed of dog they wish to. But if that breed's imported specimens carry inherited defects and these are transmitted so as to constitute a defective breed, then that does need curtailing. Breeds like the Bernese Mountain Dog, an admirable attractive breed, bring with them the built-in faults of local breeding from a restricted gene pool in a breed from a relatively isolated area. The creation of breeds or so-called breeds abroad has at times reached quite absurd proportions. The Kromfohrlander, the product of an accidental mating between a Fox Terrier and a small griffon, is now an internationally recognised breed. The Eurasier is a hybrid; the Russian Black Terrier a purpose-bred blend of several breeds, the Cesky Terrier arises from Sealyham stock - whilst our Sealyham fades from view. Coming soon to a pet shop near you could be Kyi-Leos, Munchkins, Mikis, Moscow Toy Terriers, Petersburg Orchids, Moscow Guard Dogs (from St Bernard blood) and the Japanese Shikoku. The Thai Street Dog could be next! 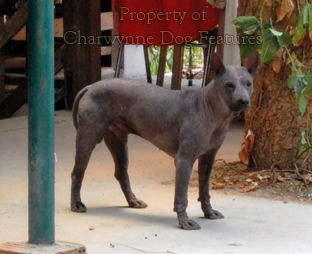 The Thai Ridgeback Dog is now selling well in the United States. Soon it will feature here, desired because it is exotic, rare and unusual not because of its characteristics. 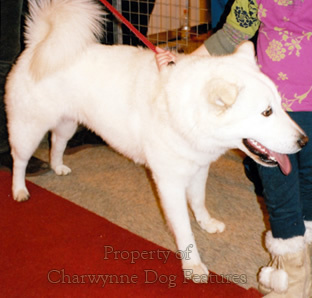 Fancying a dog breed just because it sound exotic doesn't reflect well on the purchaser or help that breed. Breeds like the Portuguese Warren Hound and the Pomeranian Sheepdog have been imported in the more distant past but not to their benefit.